This Page Will Change As News Becomes Available. Come to the SBMF Encampment this June in Houston, TX. Your SBMF Leadership is working on the details of our next annual meetings. Please check this page for further information, yet to come. We are continuing the same order of our meetings this year, as last year. This year we have changed the process of membership. This was voted on the year before last and the constitutional amendment was added to our constitution last June. Our newly revised constitution is in the process of being compiled and written. We hope to have the final copy available to present at this next SBMF Annual Meeting. The single membership only was in effect until our meetings in New Orleans, last year. After that meeting the group membership fees will apply to congregational membership. We are looking forward to being with brothers and sisters in Messiah. As you may know the Southern Baptist Messianic Fellowship will be holding their 2013 SBMF Annual Meeting, in the Houston area, just before the SBC Annual Meetings in June this year. Beth Yeshua HaMashiach Messianic Jewish Synagogue, located at 7000 Bellaire Blvd. Houston, TX. 77074. They meet at the Sharpstown Baptist Church. This year our meetings will be on June 7th and 8th, in the Houston area. The plans for the meetings are not complete yet. We do have a tentative schedule planned. Here is a rough schedule of events. On Erev Shabbat, Friday evening June 7th, we plan to have an evening worship service with worship music and a teaching. 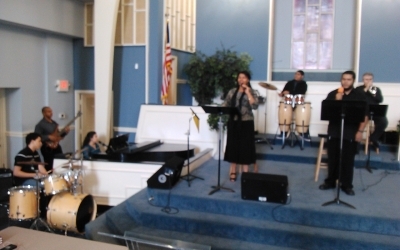 The Beth Yeshua Music Worship Team will lead us in music worship. The speaker for this event will be the SBMF President, Brother Ric Worshill. This will begin at 7:00pm. Our Saturday June 8th meetings will be a combination of music worship, teachings and a business meeting. Here is the tentative schedule. during time of worship and praise. 7:45 pm Evening Preaching Dr. Bruce Stokes, SBMF V.P. The L-rd is providing all of our needs. We look to Him for His supply. Please join us for this wonderful time of worship. praise, study, and fellowship. The Beth Yeshua HaMashiach Messianic Jewish Synagogue, Worship Team will also be leading us in music worship. Sister Kathy and her husband Gus were among the original leaders and founders of the SBMF. Brother Gus went home to the L-rd in 2005. The BYHM Praise Team will lead us in music worship during the entire event. Come sing to the L-rd, songs of praise with us. Brother Ric Worshill has served the local Church, his local SBC association, NAMB and the SBMF since 2001. He started serving the SBMF as the assistant to two prior SBMF presidents. He was elected and served four years as the President. Then he then served for three years the Vice-President. This last year he served again in the office of SBMF President. Brother Ric is a Jewish believer in Yeshua as Mashiach. He has a heart for any one who doesn't know the savior. Ric has been married to his beloved wife Gwenn for 40 years. They have two grown children and seven grandchildren. The most compelling part of his ministry service is his zeal to build up the saints and prepare them for service in the mission fields. His time in the SBMF has been dedicated to helping missionaries get trained up for the mission fields and helping congregational planters start successful new congregations. Brother Ric specializes in Emergency Services Police Chaplaincy. The chaplaincy ministry he serves is centered on critical incident crisis intervention. This is specific to the emotional and spiritual care of people in crisis. A large portion of this chaplaincy service is to law enforcement personal. Brother Ric also ministers to people in SBC Disaster Relief Chaplaincy. He and his wife Gwenn are both NAMB Endorsed Police and Disaster Relief Chaplains. They serve the Illinois Baptist State Association as Operational Stress First Aid (OSFA) instructors and they are trained Unit Leaders (Blue Caps). Gwenn and Ric serve on two Critical Incident Stress Management Teams in their home state. Their ministry serves several local law enforcement agencies in Illinois and Wisconsin. Ric is a 28 year veteran law enforcement officer and he has served in law enforcement chaplaincy for over 26 years. The 2012 SBMF Guest Speaker or speakers for this segment will be Sister Amy Downey. Sister Amy Downey is the Director and Missionary of Tezdakah Ministries. She is a evangelist and public speaker. She is a professor at Arlington Baptist College (Arlington, TX) and the author of Paul’s Relationship to the Jewish People: An Analysis of 1 Thessalonians 2:13-16 and Romans 9:1-5 (Emanuel University Press, 2007) along with numerous magazine articles. She has a Bachelor of Science in Education degree from East Texas Baptist University and a Master of Arts in Communication and Master of Arts in Theology from Southwestern Baptist Theological Seminary. The 2012 SBMF Guest Speaker or speakers for this segment will be Rabbi Jay Fielding, founder of Beth Chaim Messianic Congregation Network. Rabbi Jay Fielding is a Jewish Believer who has planted Messianic Congregations, mentored and ordained other Messianic leaders and served in both traditional Churches and Messianic Congregations for over 20 years. Jay has authored Messianic papers and has delivered hundreds of inspiring Spirit-filled teachings on Messianic and Chirstian development topics. Beth Chaim Messianic Congregation Network is headquartered in Marietta, (Atlanta) Georgia. It is an internationally recognized Messianic ministry specializing in guiding Jewish and Non-Jewish people to faith in the Jewish Messiah. They encourage and train our traditional Church body to participate in Hebraic roots so they can develop a more personal relationship with Yeshua HaMashiach, Jesus the Christ. Brother Jay also specialize in fostering and mentoring Messianic Communities and Leaders. "The fulfillment of being a Jew is accepting our birthright to live with God for Eternity in paradise. Christianity is the extension of Judaism to both Jews and Gentiles through faith in Messiah as the perfect Passover Lamb and fulfillment of all Jewish Feasts and Festivals. As Messianic Jews and Gentiles, we at Beth Chaim have outreach ministries to share the Gospel with our beloved unsaved Jewish Brothers and Sisters." Bob Burton is the National Mobilizer serving on the South Region Team with the North American Mission Board. He works to mobilize churches and church planters who answer God’s call to serve throughout North America and especially to the Send Cities. He works to assist and equip Partner Churches through Churches Planting Churches Trainings. He and his wife, Dana are blessed with three sons: Andy (22) and his wife Tiffany, Noah (20) and Luke (17). The Burtons live in Noblesville, Indiana. He was born in Mt. Vernon, Illinois and is a graduate of Rend Lake Junior College, Ina, Illinois, Southwest Baptist University, Bolivar, Missouri and Midwestern Baptist Theological Seminary, Kansas City, Missouri. He received his doctoral degree from The Southern Baptist Theological Seminary in Louisville, Kentucky. Bob served as church planter twice, pastor of churches in Illinois, and Missouri. He served as a Missionary Journeyman in Mexico. He has served as a Church Starter Strategist with the Illinois Baptist State Association. He had previously served as the National Missionary with the assignment of Multihousing Church Planting prior to serving in Indianapolis. The North American Mission Board, located in Alpharetta, Georgia, is the Southern Baptist Convention home mission agency which assists SBC churches in reaching the United States, Canada and the US Territories with the gospel of Jesus Christ. We are grateful for the faithful support of your missionaries through the Cooperative Program and the Annie Armstrong Easter Offering. 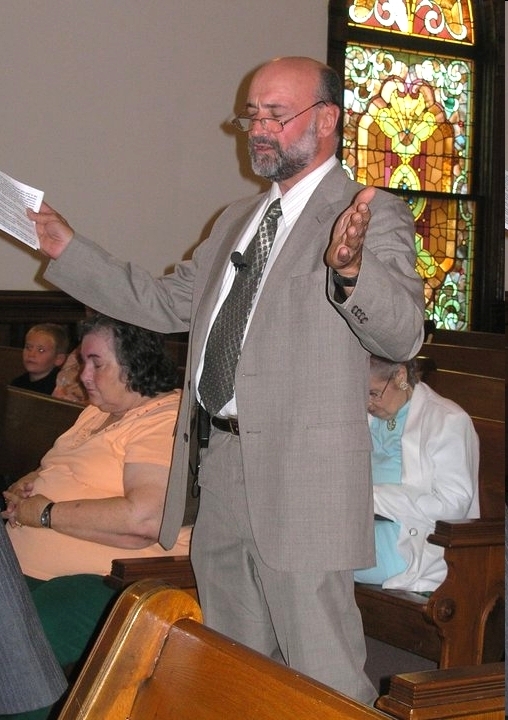 Rabbi Jim Pratt serves as the Senior Rabbi of Beth Yeshua HaMashiach Messianic Jewish Synagogue. Rabbi Pratt has been serving as Senior Rabbi for the past 7 years. His service includes Biblical foundational teachings with a Messianic perspective, as well as heading up an active Evangelism team and Prison Ministry. Prior to joining Beth Yeshua, he served under Barry Berger with Messianic Perspectives in Arizona and also played a vital role in saving the lives of many unborn babies in the Pro-Life movement. Rabbi Jim has a genuine heart for the Jewish people and all people that they may come to know and love their Messiah. Brother H. Bruce Stokes, Ph.D. is Dean of the School of Behavioral Sciences at California Baptist University in Riverside. He is the Pastor/Teacher of the DiscipleCenter in Anaheim Hills. As a Psychological Anthropologist, Dr. Stokes has focused on the integration and application of Biblical Truth to the behavioral sciences. He has lectured, written and counseled in the area of marriage and family, parenting and the establishment of Christian homes. authorored by Boaz Michael of: Tent of David - Healing the Vision of the Messianic Gentile. Brother Bruce is currently serving as the Vice-President of the SBMF Southern Baptist Messianic Fellowship. Dr. Stokes also teaches at Golden Gate Baptist Theological Seminary at the Brea campus in southern California, and served on the translation committee for the up-date of the New American Standard Bible. He is also a published author. In the past several years the SBMF has helped several new congregational leaders start new works all over North America. Right now we have affiliated new works in Detroit, Michigan, Kenner Louisiana, Valparaiso Indiana, Eagle River Alaska, Calgary AB Canada, Woodstock Georgia and Meridian Mississippi. There are also two other new works that are in the planning and training stages. The SBMF has changed from years ago. We have partnered with other Messianic associations and ministries to form a sound and grounded minister and ministry training program. We have also found local SBC churches to help by supporting some of these new works. We are working with two SBC seminaries, MWBTS and NOBTS, to start Messianic leadership schooling programs. These two programs will be available on-line soon. As you may know the Pasche Institute is at Criswell Collage. The Southern Baptist Messianic Fellowship works along side several Jewish evangelism ministries. We are pleased to announce that we have a developed partnerships with Jews for Jesus, UMJC, Chosen People Ministries, the Association of Messianic Congregations, New Covenant Forum, Light of Messiah Ministries, Word of Messiah Ministry, several SBC Church Planting Strategists and brothers from the Russian and Polish Messianic ministries. We also work with the National African American Fellowship, SBC. Please come join our brothers and sisters at the Southern Baptist Messianic Fellowship and the Southern Baptist Convention Annual Meeting in Houston, TX. Some of us will also need to stay someplace where we have access to travel to the George R. Brown Convention Center, 1001 Avenida de las Americas, Houston, TX. 77010. If you are interested in serving in the Many Faces Of SBC Booth please contact us. Please feel free to contact us if you are interested in attending. We are looking forward to meeting and seeing brothers and sisters from all over North America and abroad. Your brothers and sisters in Yeshua, servants and fellow bond-servants in the L-rd. We look forward to a wonderful time in Worship, learning and fellowship. Come to our meetings and spend time with us as we work together to build up the saints to bear fruit.